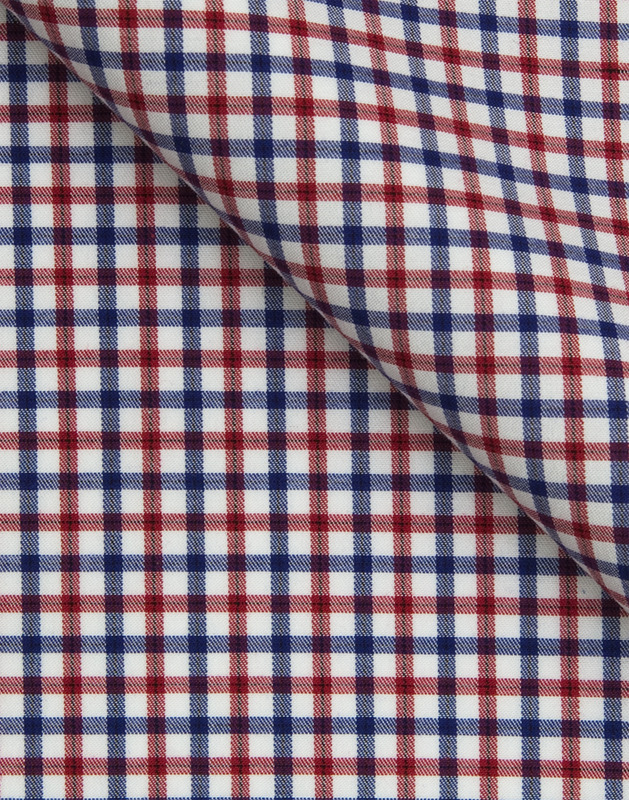 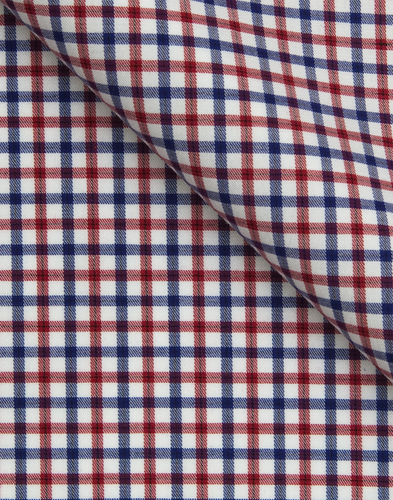 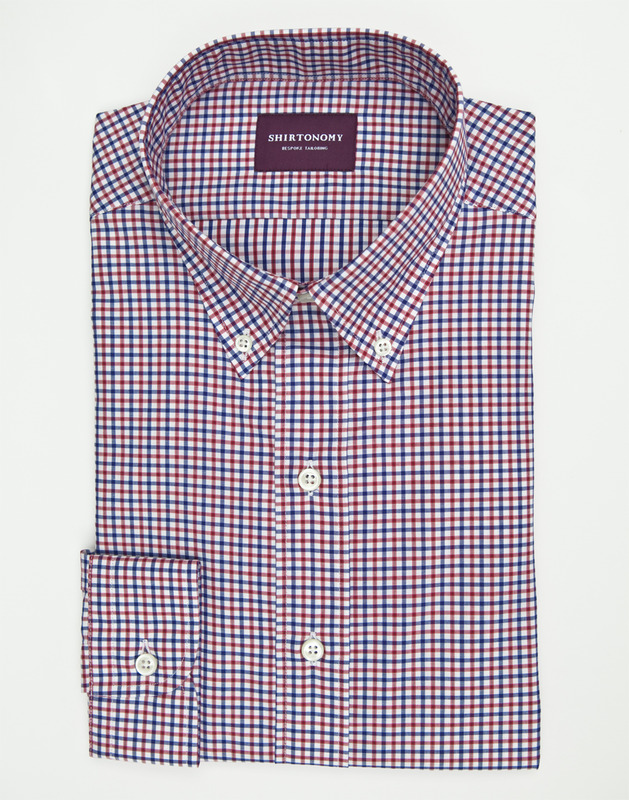 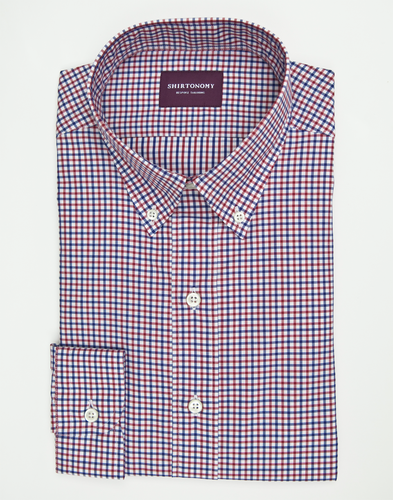 A narrow Gingham pattern fabric in a somewhat duller color combination of red and blue. 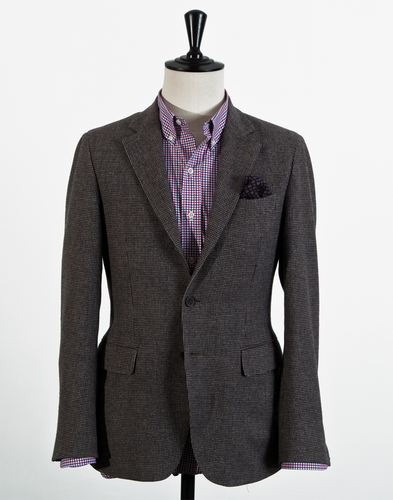 The fabrics informal tonation makes it best combined with the button down collar and single cuffs. 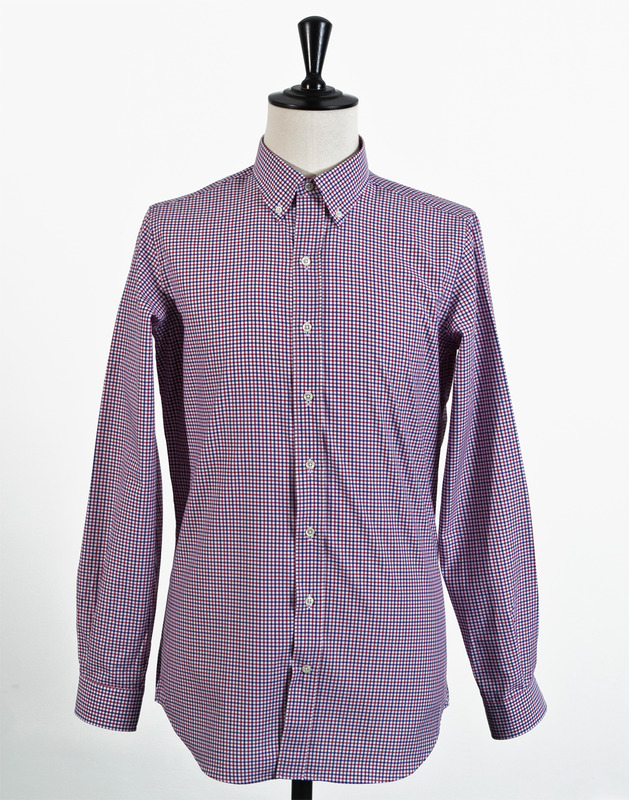 The fabric is made in Italy and its twilled weave makes it both soft and wrinkle resistent.